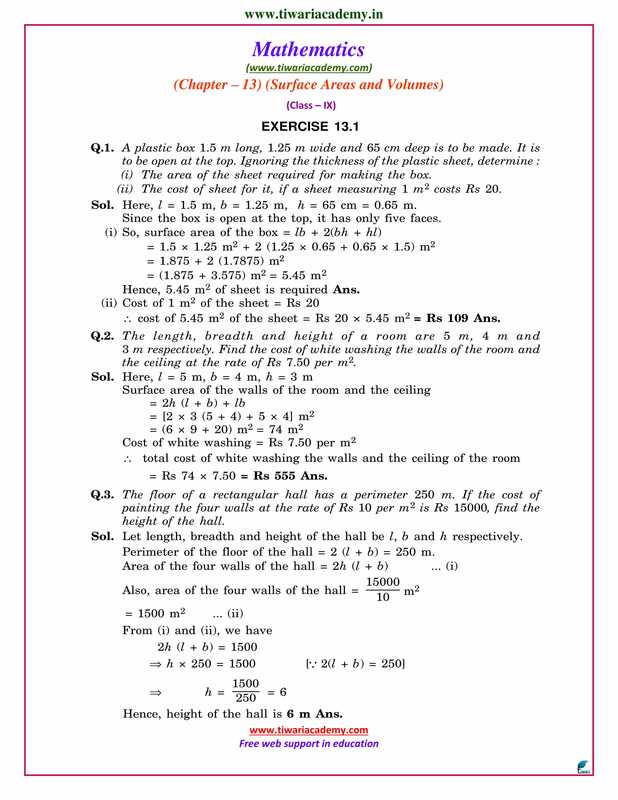 Free download NCERT Solutions for Class 9 Maths Chapter 13 Exercise 13.1 & 13.2 of surface areas and volumes (Cube and cuboids) in English Medium and Hindi Medium free to use online. 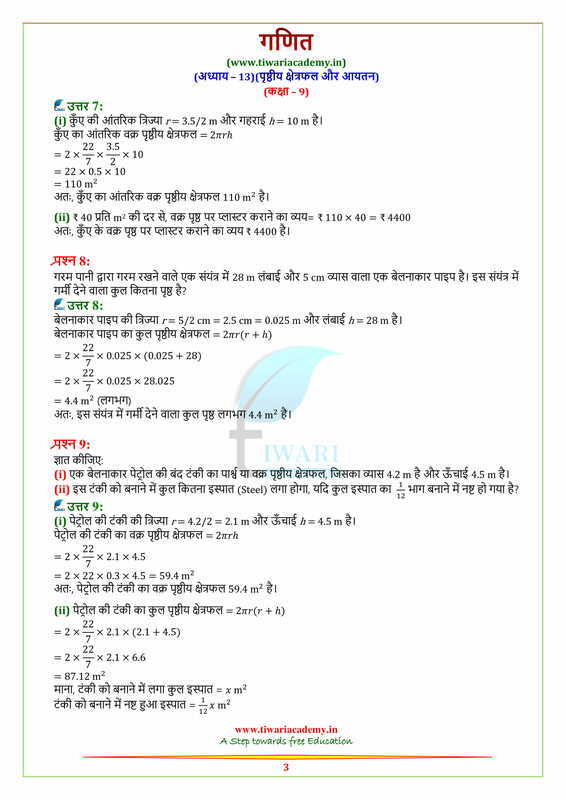 NCERT Solutions for class 9 maths all chapters or other subjects NCERT Solutions are also available to free download. 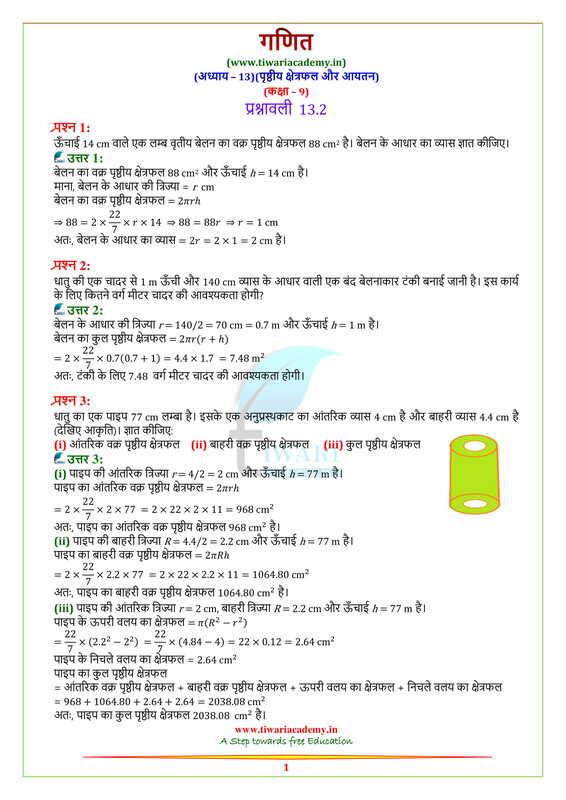 The solutions of other exercises like Exercise 13.3 & 13.4 or Exercise 13.5 & 13.6 or Exercise 13.7 & 13.8 or Exercise 13.9 are also given to use online in both the medium. A cubical box has each edge 20 cm and another cuboidal box is 22.5 cm long, 10 cm wide and 8 cm high. 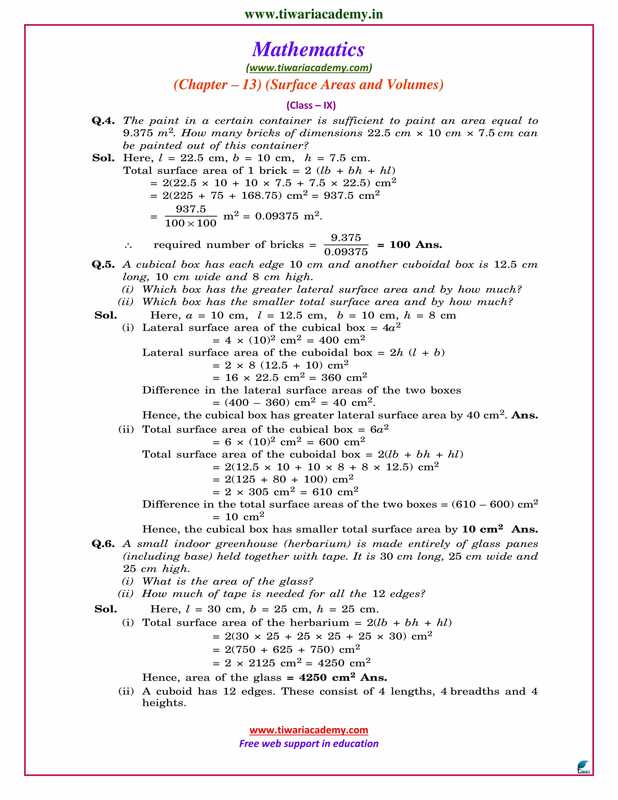 (a) Which box has the grater lateral surface area and by how much? (a) A solid cube is cut into cuboids of equal volumes. Find the ratio of the total surface area of the given cube and that of one of the cuboids. 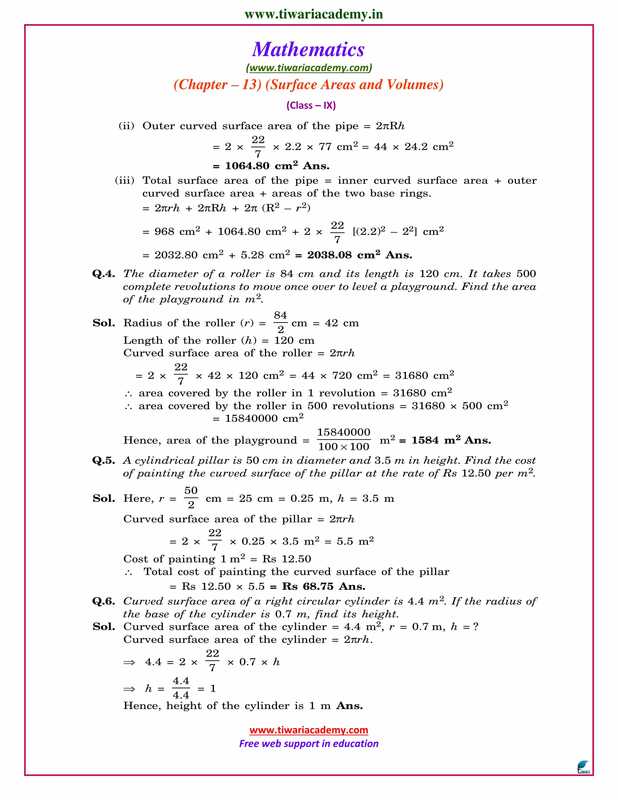 (b) How many 3 metre cubes can be cut from a cuboid measuring 18 m x 12 m x 9 m?